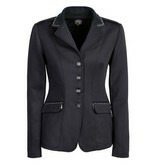 Luxury show jacket in a high quality stretch fabric. 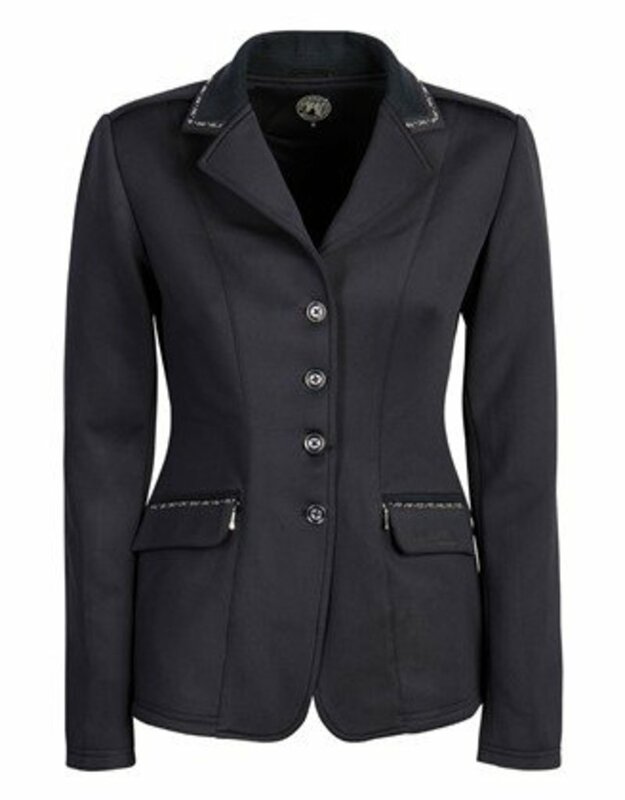 The jacket is embellished with small crystals on the collar and the slit pockets, which also have a concealed zip fastening. 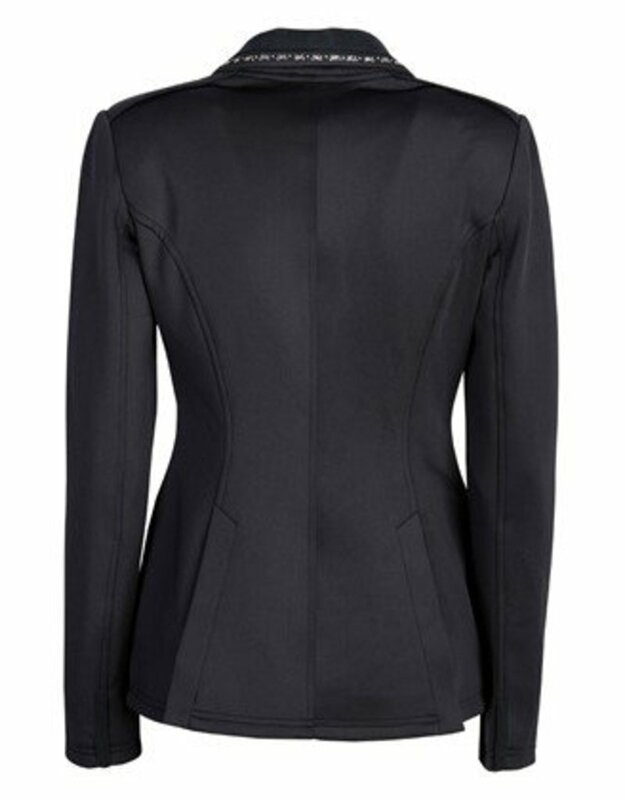 A zip fastening at the front combined with a button fastening.